Creating a branded shopping experience with a supplier enablement solution. Whether in stores or online, Neiman Marcus customers enjoy shopping across its different divisions, using multiple devices and channels to research and buy the retailer’s upscale products. Yet, with three different buying groups and their separate inventory systems, the company was missing opportunities to offer its customers a seamless shopping experience with a full line of merchandise. 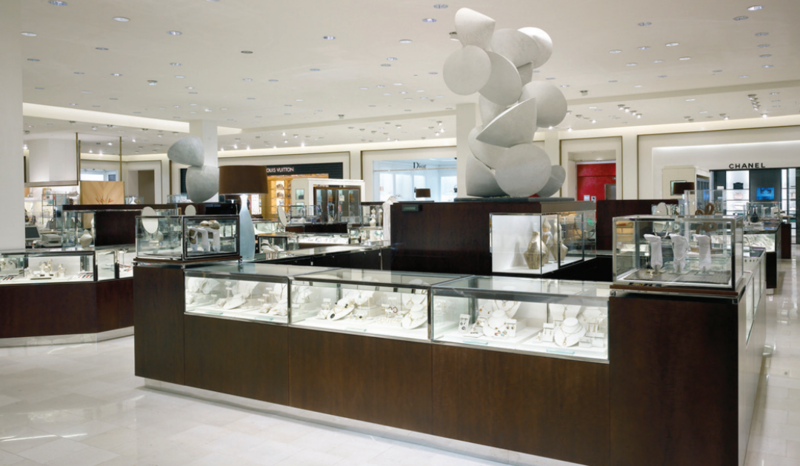 The Neiman Marcus Group (NMG) needed better visibility across its many silos of inventory. To do this, it required more than 2,700 of its vendors—both large suppliers and small artisan companies—to use GS1 Standards and EDI technologies. Partnering with DiCentral, GS1 US and InterTrade Systems, NMG educated and supported its vendors in executing the company’s supplier enablement solution. About 95 percent of NMG’s targeted vendors are now using GS1 Standards and EDI-enabled transactions. Further, 93 percent of all shipments use Advance Ship Notices (ASNs), more than 90 percent of purchase orders are now transmitted via EDI, and fulfillment problem rates have decreased in excess of 10 points, resulting in increased fulfillment accuracy and significant supply chain efficiencies for NMG and its vendors. NMG’s customers now have access to all products across all divisions for a truly NMG-branded shopping experience. "We wanted to offer our customers a seamless shopping experience, giving them easy access to all of our products in all of our divisions. 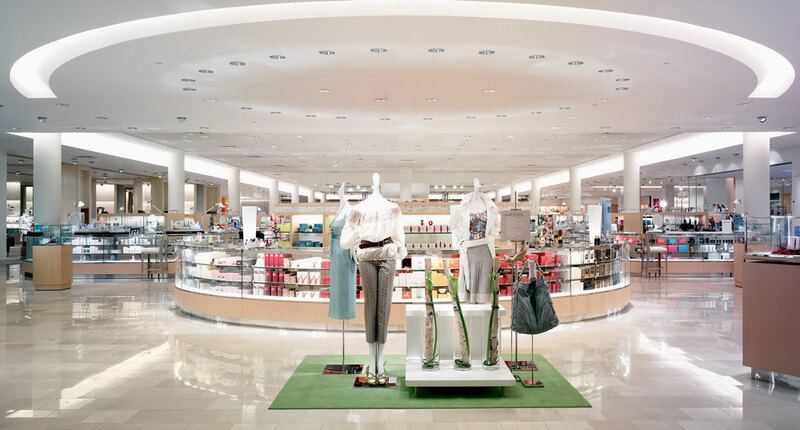 To do this, we needed visibility across our silos of inventory"
For more than a century, Neiman Marcus has been synonymous with luxury retailing, with a strong brand for distinctive merchandise and unique marketing to upscale shoppers. Since its founding in 1907, Neiman Marcus has remained current with consumer trends as well as their buying habits, expanding its brick-and-mortar locations with online shopping destinations. Today, the Neiman Marcus Group operates 41 Neiman Marcus stores throughout the country, two Bergdorf Goodman stores in Manhattan, as well as 39 Last Call clearance centers and studios, totaling nearly seven million square feet of retail space. NMG also has its Neiman Marcus, Bergdorf and Last Call direct-to-consumer websites as well as those for the Horchow Collection, CUSP and mytheresa brands. NMG maintains three independent buying groups for its five divisions—a strategy that has served the specialty retailer well over the years since the needs and preferences of customers may be different for each division. To preserve its image for singular merchandise, each buying group deals with scores of specialty vendors—artisans that create unique limited-run products—in addition to hundreds of larger suppliers. In all, NMG buys from more than 2,700 vendors. Neiman Marcus knew it was missing opportunities to reach more customers with a wider selection of products. Yet, the company was challenged with three separate inventory systems that lacked a standardized way of identifying products. Because each system used different product naming conventions, there was no way of knowing the cashmere cardigan bought for Bergdorf Goodman was the same one stocked by the buyer for Neiman Marcus. Barron and the NMG team started by brainstorming about how to combine, yet retain, their silo-based inventory model. The team quickly concluded that each product should be assigned by its respective vendor a GS1 Global Trade Item Number® (GTIN®)—encoded in a GS1 Universal Product Code (U.P.C.) barcode. To support the implementation, Barron called on two GS1 US Solution Partners—InterTrade, a longtime provider of NMG’s electronic product catalogue and EDI managed network services, and DiCentral—for testing all EDI transactions with vendors who were new to EDI. DiCentral was tasked with the initial outreach to vendors with ongoing follow-up and coordination to ensure each one understood the complete process of becoming EDI compliant with NMG. An innovative internal marketing effort was launched to explain the need for the solution to NMG’s buying groups. “We wanted to ensure that we were internally aligned and behind the new initiative,” Barron says. Webinars, public web portals and other communication channels were enlisted in the educational campaign aimed at “newbies,” particularly artisan vendors that had no exposure to EDI. CEO Karen Katz even recorded a video discussing the initiative, demonstrating NMG’s commitment to its new supplier enablement solution. Part of the educational thrust was demonstrating the benefits of using GS1 Standards and EDI for even the smallest suppliers. Vendors first chose an EDI service provider. Secondly, they registered with GS1 US to start assigning U.P.C. barcodes on their products. Next, the vendors registered with the Neiman Marcus electronic catalogue, the repository for product information provided by InterTrade, where they would then upload and exchange their GTINs. Finally, they registered with DiCentral to begin testing and validating their EDI Transactions. Once vendors had completed all steps, they were given notice of their successful completion and the green light to begin trading with NMG. Today, most Neiman Marcus vendors identify their products with GS1 GTINs, and about 95 percent of the company’s targeted vendors are utilizing EDI-enabled transactions. Where once a customer may have gotten an “out-of-stock” message when trying to purchase a pair of designer shoes from BergdorfGoodman.com, the product’s GTIN now enables a behind-the-scenes search, revealing an identical pair in a Dallas Neiman Marcus that is then shipped to the customer—seamlessly and transparently. Benefits for the NMG supply chain have also resulted. ASNs accompany 93 percent of all shipments, and a little more than 90 percent of vendor purchase orders are transmitted via EDI. Today, when a customer needs a different size sweater, Neiman Marcus can easily identify the location of the inventory across the various NMG divisions because of the U.P.C. commonality. As consumers are shopping using their various smart devices—their phones, their tablets, and sometimes both at the same time—NMG’s multiple inventories, linked by GS1 GTINs, can be instantly accessed to serve them with related product information. “And our store sales associates now have iPads that can access shared items, offering customers that shop in our stores something that once was only available online,” adds Barron. Neiman Marcus provides an excellent example of how all sizes and types of vendors can be nimble and efficient when using GS1 Standards and EDI technologies. NMG’s ability to introduce a compliance program that bridged the gap—from the largest to the smallest supplier—was educational for all involved.